Every once in a while our human nature takes control of us and makes us think, makes us question our world and our life in it. If you have ever wondered about God, ever felt the conflict between the believer and the rationalist within you, let me guide you through history and help you see what I see. This is an agnost's pursuit of God. Once upon a time somewhere in the middle of nowhere there was a bang. A Big Bang. That's where it all started. 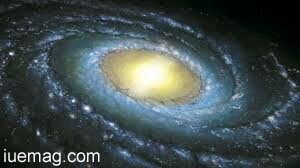 Heavenly bodies were formed, life came to be and of course, there was light. Let's fast forward to the time when our "ancestors" started walking the earth. Our ancestors lived on trees and in caves and clothed themselves in animal skin, leaves and bark. (They may or may not have discovered the fire or invented the wheel.) They lived off the land and took to hunting. They started living in groups, took to farming and made progress along the evolutionary chart. Life was simple. (The world was flat.) It was a pretty picture. Let me paint this picture in words. "The fiery sun, they stared at in wonder The calm moon, they noticed, came from down under. Mystified, they were, by the stars there yonder. Oh, who would explain to them lightning and thunder??" The elements of nature like the heavenly bodies, water bodies, lightning, thunder, etc amazed the people living during that time. With the belief that worshipping these ele-ments would protect them from natural calami-ties, they became nature worshippers. Our Vedic scripts speak of such gods. The Greek and Roman mythology is filled with tales of Gods who control the forces of Nature. Neptune was the Roman Water God. Varuna, as per Hindu mythology was the god of sky and water. Poseidon was the Greek god of sea. Thus, people around the world found God in Mother Nature and this led to the birth of early religions. Many years later came a man who claimed that God was our father and our deeds on earth determined our fate in heaven. 2000 years later, Jesus Christ has 2 billion followers. With increasing intellect came curiosity about the unknown. People realized that the world is spherical. Conflicts between science and theology occurred and people had to choose sides. I had a professor who claimed that Physics was his religion. True story. The story doesn't end here. When science and theology failed, people started looking within to find solutions. Ayn Rand, one of the most controversial novelists and philosophers thus spoke on worship. "I worship individuals for their highest possibilities as individuals and I loathe humanity for its failure to live up to these possibilities." The cult which follows her philosophy consists of people known as man-worshippers. They follow straightforward ra-tional thinking and reject the existence of a God who cannot be seen, felt or heard. We're once again living in a flat world. A virtual flat world. There's a very thin line between the real and the virtual. So where does God stand today, in the age of social networks and smartphones? You could disagree with me, but I think everywhere is the answer. In science, in nature, in outer space, in every parallel world, in & around man. One only has to look harder to find God's presence everywhere. In each color of the rainbow, in the tiniest atom & its sub-particles, in the architectural marvels of today's world & the human spirit & genius I often find solutions to issues in my life in books I read, movies I watch and sometimes even songs I listen to. Believe it or not, to me, I believe that's the God's way of communicating with me. So if you're on the quest to find the Almighty, just open your eyes & look around. Or, just close your eyes, feel within & believe.